Provide comfort for the family of Mr. Gennaro Miele with a meaningful gesture of sympathy. Mr. Gennaro Miele, age 98 years, passed away peacefully in Thunder Bay Regional Health Sciences Centre at 12:05 am on Thursday, April 4, 2019. Gennaro was born on May 7, 1920 in Roccarainola, Italy. He immigrated to Canada and worked for the City of Thunder Bay, until retirement in 1983. Gennaro was a farmer his whole life. He loved being outdoors, especially in his garden, growing grapes to make delicious wine. He will be deeply missed by all of his family and friends. Gennaro is survived by his wife of 70 years, Raffaela (nee Montanaro); children Saverio (Marianna) Miele and Salvatore Miele; grandchildren Gerry, Ralphileena, Stella, Michelle, Jennifer and Amanda (Bob) Belbas; great-grandchildren Victoria, Samantha, Kaileb, Adrianna, Avery and Elizabeth; brother Salvatore (Rosina) Miele as well as numerous in-laws, nieces, nephews and other relatives in Canada and Italy. 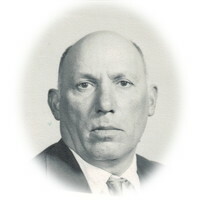 He was predeceased by his parents Francesco and Mariantonia Miele; sisters Maria Riggi, Anna Partinico, Emmanuela Trinchese, Carlotta Perna and brothers Vincenzo Miele, Giuseppe Miele and Aniello Miele. Funeral Services for the late Mr. Gennaro Miele will be held on Monday, April 8, 2019 leaving the WESTFORT CHAPEL, 420 West Gore Street at 9:45am to St. Agnes Roman Catholic Church for the Funeral Mass at 10:00am, celebrated by Fr. James Panikulam. Interment will follow in St. Andrew's Catholic Cemetery. Visitation for family and friends will be held on Sunday evening after 6:00pm in the Westfort Chapel with Vigil Prayers being offered at 8:00pm. Should friends so desire, donations made in memory of Gennaro to the Hospital for Sick Children (SickKids) would be greatly appreciated. To plant a memorial tree in honor of Mr. Gennaro Miele, please visit our Heartfelt Sympathies Store. Vigil Prayers will be offered at 8:00pm. Leaving the Westfort Chapel at 9:45am in procession to Church. Donations are being accepted for: THE HOSPITAL FOR SICK CHILDREN. We encourage you to share your most beloved memories of Mr. Gennaro here, so that the family and other loved ones can always see it. You can upload cherished photographs, or share your favorite stories, and can even comment on those shared by others. Sometimes extenuating circumstances make it difficult to attend a service. Memorial webcasting gives family and friends the opportunity to view a service live, online, from anywhere.